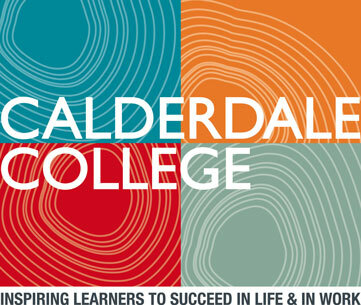 John Earland, Access to HE Manager presented the Calderdale College Access to HE Team with their Centre Recognition certificate on a recent visit. "We decided to change AVA for our Access to HE Diplomas and One Awards visited us to give detailed information about them and the way they ran the Access provision. Right from the start they were friendly, helpful and available when we needed them. This was a major factor for us as we felt this was lacking in our current provider. Access was provided to their website and the units available so that we could consider the best options for our students and diplomas. 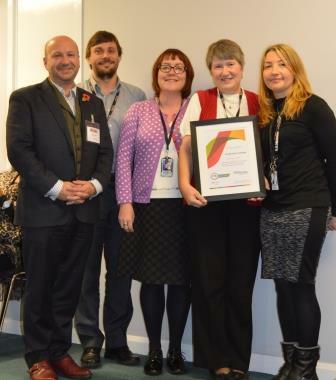 We also were given plenty of guidance from all One Awards staff. We were invited to their in-house events even though we were only considering a change at this stage. Once we decided to move to One Awards the support was phenomenal. Nothing was too much trouble for any member of the One Awards staff. Calls were returned promptly and e-mails answered in a timely manner. This all made for a smooth transition both for staff and students at the college. Much of the paperwork was different from that which we had been used to however it was easy to understand and exemplars were provided on the website. Even when we got it wrong we were supported and encouraged. "The best move we have made"